Global Intuitive Guide, #1 Best Selling Author & Sound Healer, Angelica Perman has assisted people from around the world as a gifted seeier, angel medium, spiritual counselor, public speaker, pet intuitive, crystal energy, and home clearer. She offers support with relationships, addiction recovery, empathic empowerment, intuitive development, business coaching, trauma relief and energy clearing. Angelica is certified in Reiki, Hypnotherapy, and Theta DNA Healing. Angelica has shared her gifts as a Spiritual Counselor, Sound Healer & Workshop Facilitator at the world-renowned Passages Addiction Recovery Center, at hospitals in Los Angeles including UCLA, The Malibu Shaman, Sorenity Rocks Malibu, Soul Purpose in Long Beach, 20th Century Fox, PTTOW!, Wanderlust Hollywood, Golden Bridge, Agape International Spiritual Center, Yogaworks, Doctors Without Borders Fundraisers, One Love Festival, Sounds Of The Sacred Festival, Star Knowledge Conferences, LA Conscious Life Expo, on the hit BBC primetime show Hollywood Me, and is a weekly series regular on Sheena Metal’s popular “Haunted Playhouse” Psychic Round Table on LA Talk Radio. She is a co-author of the #1 Best Selling Book: The Little Black Book Of Fitness – with Be Real of Cypress Hill, Mike Mesina winner of The Biggest Loser and Jenni Pulus Producer/Co-Star of hit Bravo Show Flipping Out. As a Sound Healing Singer she collaborated to co-create the digital release Omdigenous a 60 minute journey perfect for Spas, Massage, Yoga and to offer relaxation to the listener. 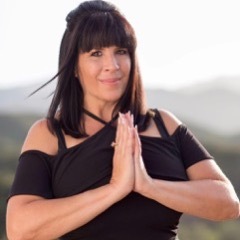 Angelica has a private healing practice in Malibu, CA with a roster of happy clients including: Celebrities, MDs, CEOs, Contractors, Realtors, Nurses, Legal Professionals & Law Enforcers, CEOs, Veterans, Inventors, Healers, Writers, Musicians, TV Personalities, Artists, Healers, Teachers, Parents and Children.